The Grammys have been universally recognized as the finest awards to be bestowed upon an artist, producer, or individual in the music industry. Multiple winners of the award, such as Beyoncé and Kanye West have released critically acclaimed albums which equate to commercial success. In turn they have collected wins that range from album of the year to best song in that particular genre. The award, though, has not been without controversy. Artists that are lauded by critics, but not necessarily by fans, are not given the same recognition as other profitable artists; in this sense, a Grammy is often given to the artist whose work commercially performs greater than other albums released that year, and not necessarily if it was actually the best released during that time. From this standpoint, the Grammy Awards are often seen as more of a popularity contest rather than a realistic observance of an artist’s true talent. 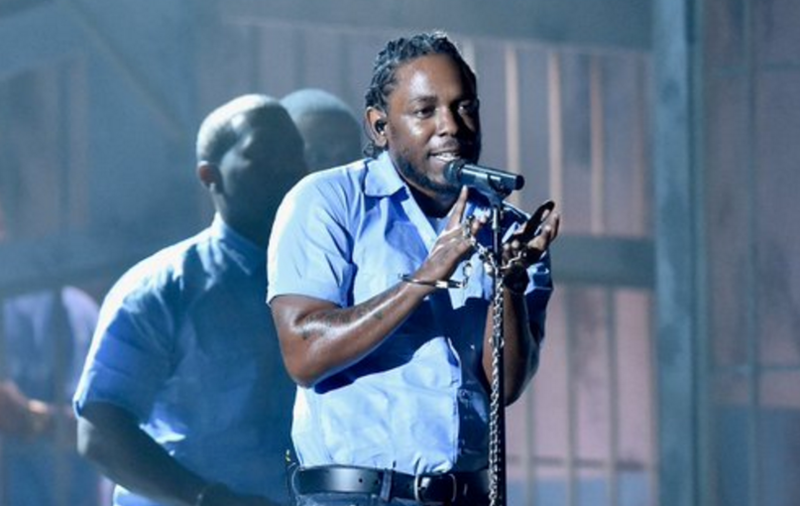 No wins came from these nominations, and while much of the disappointment was evident from the hip-hop and rap community, it was only an omen to foresee that any future released material from Lamar would earn him an actual win. True to a majority of fans and listener predictions, Lamar’s sophomore effort, “To Pimp a Butterfly” received nominations for album of the year and best rap album. His speech in response to the latter was meaningful and evidence-providing of his continuous progress and devotedness. Lamar also received a nomination for song of the year for “Alright,” his most-famous and well-received single off of “To Pimp a Butterfly,” but lost to Ed Sheeran’s “Thinking Out Loud.” This is not to say that Sheeran’s song was not deserving. “Alright” was simply more relevant and touched issues deeper than the platonic love scenario Sheeran chose to paint in the track. The exclusion of Lamar’s track from the Grammy win explains the favoritism by the general public for songs that do not attempt to relate to issues affecting American society today; though black people are outnumbered by whites in the United States, black issues are very much important. For the issues to be so palpably depicted in a song speaks greater volumes than some people, including Academy voters, may be able to comprehend. Performances of the night included Taylor Swift, the Weeknd, and Adele, as well as duets by Tori Kelly and James Bay, and Carrie Underwood and Sam Hunt. Also incorporated in the song rotation was a multi-part tribute to Lionel Richie’s album, “Can’t Slow Down,” with contributing performances by John Legend and Demi Lovato. However, the stage was once again stolen by Lamar, who performed a rendition of “Blacker the Berry.” Throughout his routine and choreography, he illustrated a stunning picture of topics that ranged from police brutality to self-deprecation and denial of worth. His piece earned standing ovations from a vast number of Grammy attendees, with some raising the “Black Power” salute to relay that his message was understood by them and was relatable for the current time period. By usual Grammy standards, the awards show was filled with moments of surprise and suspense, both beingsupported by the audience regardless. One can only wait for next year’s show after music is released that will either break sales records or enter into “best album of all time” lists by critics.